commented on "Congratulations Page and Blackmore Booksellers on receiving the 2014 Nielsen Award for NEW ZEALAND BOOKSHOP OF THE YEAR - again! Nelson ..."
Congratulations Page and Blackmore Booksellers on receiving the 2014 Nielsen Award for NEW ZEALAND BOOKSHOP OF THE YEAR - again! Nelson is so lucky to have this great independent bookshop and as a writer I'm proud to have my books stocked in their fabulous store. We should all be supporting our local independent book stores. They're gold. 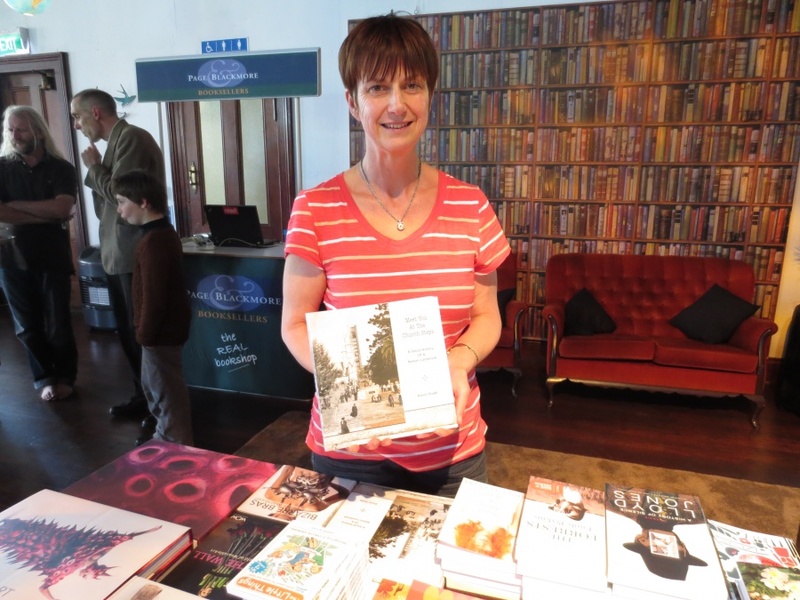 The photo shows me with my book, Meet You at the Church Steps, at the 2013 Page and Blackmore's Readers and Writers book store at Nelson's Founders Park. Look out next month for the announcement of another great lineup of writers for the 2014 Readers and Writers. Stay informed about my latest projects and books.